Dakovich used his strong frame to create some good opportunities around the basket by sealing defenders up on the glass, and also making himself available to his teammates by being ready for the ball on the drop. The 6’5” power forward showed good touch at the rim and finished several of his shot attempts. With the game well in hand by the second half, Dakovich did most of his best work in the first half, scoring 14 points and pulling down 5 rebounds. 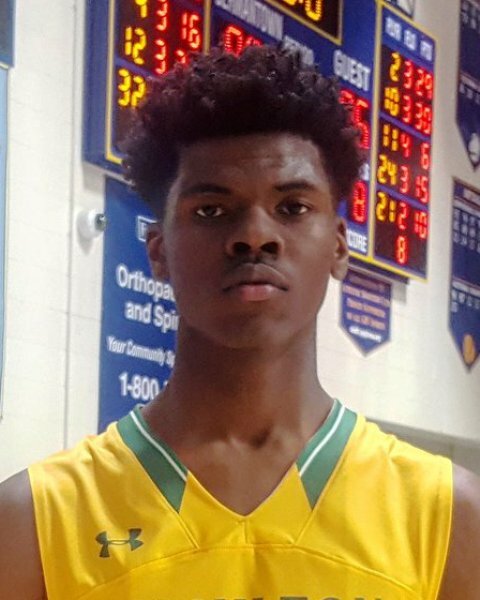 The coveted prospect may not have put up huge numbers in the 17U Association Championship, but it was his overall impact on the floor that puts him on the Day 3 TP list. Domask was very good offensively with the ball in his hands, as he attacked with good patience and control, often making the right pass when he drew extra defenders. He racked up 5 assists in the game and also hit a few timely shots for his team, including a nice three-pointer that helped his team extend their run. To go with his assists, Domask also scored 8 points and nabbed 5 boards. Finnessy played a solid game for the Shooters as the pushed a big lead early in the game. With a relatively hot hand, Finnessy hit a pair of triples in the game and was steady on defense with some nice rebounds and good pressure. He had 11 points, and also shelled out a couple assists in the game. Hebb put together a really nice little outing in the 16U Association Championship. While they didn’t get the W as they faced a really balanced attack from the Shooters, Hebb still showed off a nice offensive game where he made a number of quality baskets on the attack, but also showed off his smooth perimeter stroke. Hebb did a nice job overall defensively with good pressure, and was stronger than he appears with the ball, getting himself to line a couple times, going 4-for-4 and finished with 15 points in the contest. Holt really made some big plays for his squad in keeping the game competitive down to the final minutes of the 17U Association title game. The 6’4” wing has some nice bounce and used it a couple times defending the rim to turn away opponents’ shot attempts impressively. He also was really good rebounding the ball throughout the game, and made a few plays with the ball in his hands. He also hit a three in the game. He finished the title contest with 7 points, 7 rebounds and 2 blocks. Johnson, who mentioned reclassifying to 2019, had a really good morning game for his team, particularly in the second half when he started getting a good flow on offense. Johnson ran the floor really well and showed good control off the sprint, finishing up on the rim a couple times and also converting a couple lay-up opportunities off the bounce. 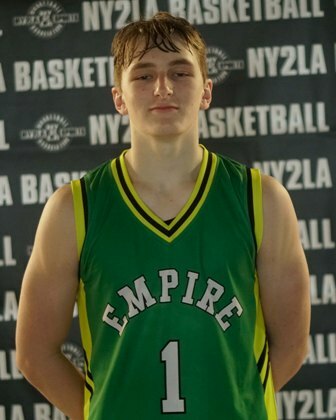 The 6’7” forward also stepped outside a bit and knocked down a three, as well as took it to the hoop with a nice move past a defender and scored with a short range jumper off the glass. He finished their early win with 13 points and 8 rebounds. McLaughlin really impressed those watching the 16U Association Championship. The 6’2” lead guard has some spring and speed athletically, but he also played both smooth and gritty. Defensively, McLaughlin really got after the opponent and forced a couple steals, and when turning it the other way, he really pushes the tempo and keeps control in traffic to glide past his opponents, but then finishes with good touch at the rim. He also showed off his outside shooting capabilities, knocking in a couple treys and was 4-for-4 at the free throw line. McLaughlin finished with 22 points, and to go along with it, had 4 assists and 3 steals. 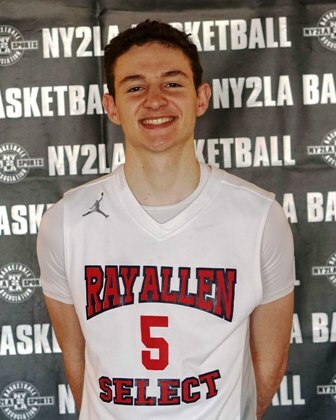 Note: McLaughlin has recently picked up interest from Oklahoma, Oklahoma State, Rio Grande Valley, Abilene-Christian, North Texas and Texas State. Nau had a solid day for RAS, and his patience and competitiveness was evident in the 17U Association title game, as he played under control throughout the contest and helped lead his team to the win. Nau was able to get by his defender with a couple strong takes to the basket and finished with touch, he got to the free throw line for a couple easy points, and also buried a three. His vision and feel for the game was outstanding which is par for the course, and while the numbers don’t scream at you, he got the job done with 11 points and 4 assists. Ramsey was excellent in a morning run for the Spartans-Rebels. The slick off-guard doesn’t mind getting inside the painted area to make plays both off the bounce or on the glass and he made a few nice plays there Friday morning. He also shot the ball really well overall, hitting a couple three’s in the second half and making a number of other big shots as he had the hot hand for his team. Ramsey also made some instinctive plays on defense, forcing a few turnovers with his quick hands. He finished their victory with 22 points and 3 steals. Treadwell played a really balanced game for his team as he helped them off to a great start in the first hand with his shooting prowess, knocking down a number of three’s in the first half, and then as the game wore on, he controlled the tempo and got his teammates integrated more and more in the offense. Treadwell sank 4 three’s in the game, and also doled out 4 assists to go with his 14-point effort. Williams made some really nice plays on the offensive end for his team, both at the hoop and away from it. He was able to explode to the rim a couple times for some nice slam dunks, showing his spring and smooth athleticism. He also showed his touch with his shot, hitting a couple pull-up jumpers off the dribble. He had 14 points in the game, and added a few assists and rebounds to boot. Deng is long and athletic, and he played Friday morning with good control in transition and while attacking the glass. He did a nice job defensively off altering the opponents’ shots while protecting the rim, and then finished well a few times on offense, going at the basket. Houpt put together a solid overall outing in the Association Championship making a few nice shots for his team. He buried a couple three’s in the game and added a couple other baskets going to the rim, finishing with 10 points. Platz had a hot hand from the perimeter for RAS, particularly down the stretch as they worked to close out the opponent. He helped his team take home the Association title with a pair of daggers from beyond-the-arc in the final 2 minutes on back-to-back possessions. He had 9 points in the game, all of triples and also pulled down 3 rebounds.